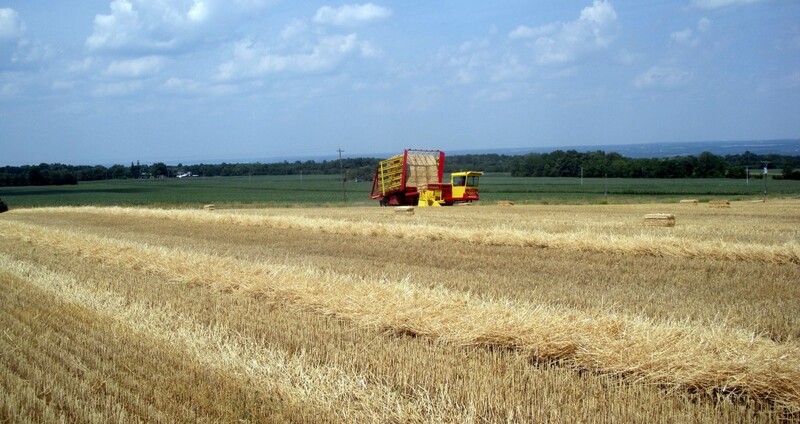 Many wheat growers harvest and sell the straw, adding greatly to the overall value of the wheat crop in NY. Corn acreage for grain in NY, as of June 1, is expected to total 660,000 acres in 2014, a decrease of about 4% from 2013 (690,000 acres). Corn acreage for silage production in NY, as of June 1, is expected to total 500,000 acres in 2014, down about 2% from 2013 (510,000 acres). Only 58% of the corn in NY was planted by June 1, however, so grain acreage could decrease further because of maturity concerns for June-planted corn, especially on dairy farms. Likewise, the price of grain corn has dropped significantly since June 1, providing more incentive for dairy farmers to switch from grain to silage. Overall, total corn acreage in NY is projected to be 1,160,000 acres in 2014, down by 3.3% (1,200,000 acres in 2013. A further update on the corn acreage will be provided on August 11th by USDA, based on the August 1 survey. Total corn acreage in NY could decrease further because the first half of June was wet in the Southern Tier region of NY, which may have prevented planting some of the remaining 42%, intended acreage. Wheat acreage in NY in 2014 declined by 20,000 acres or 17% (95,000 acres) compared to 2013 (115,000 acres). This was somewhat surprising because about 40,000 soybean acres were declared as Prevented Planting in NY in 2013, and it was assumed that a significant number of those acres would be planted to wheat. The projected wheat yield in NY as of July 1 was projected to be 66 bushels/acre, down 2 bushels/acre from the record yields in 2013 (68 bushels/acre). Preliminary testimonies by NY wheat producers indicate average yields so far in 2014 as of July 24th so final yield estimates may decrease a bit. Field crop producers typically rotate corn, soybeans, and wheat on many of their fields. The 2013 June report estimated 320,000 acres of soybeans were expected to be planted in NY but the wet June conditions prevented many acres from being planted; thereby reducing harvested soybean acreage to 278,000 acres. Soybean acreage in NY in 2014, as of June 1, was expected to increase to 397,000 acres, a stunning 43% increase from the previous year. Only 66% of the intended soybean acreage was planted as of June 15, however, so wet conditions in some regions of NY during the first half of June may have prevented some of these intended acres from being planted in 2014. Soybeans can be successfully planted in NY until about June 25th in the Finger Lakes Region and western NY, and 93% of the crop was reported to be planted as of June 29th. Consequently, it is expected that at least 370,000 of these intended acres were planted, thereby eclipsing the previous soybean acreage record in NY of 315,000 acres in 2012. A further update on soybean acreage will be provided on August 11th by USDA, based on the August 1 survey. If 370,000 acres of soybeans were planted in NY in 2014, this would represent an 8.25 fold increase in soybean acreage over the last 25 years (40,000 acres planted in 1990). Truly, soybean expansion in NY is an unheralded success story of NY agriculture. 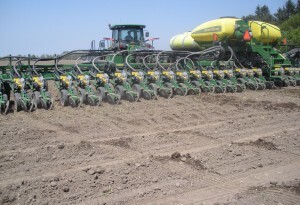 Comments Off on How Does Corn Planting Depth Affect Stand Establishment? Growers should check corn seeding depths when they enter fields with different soil types or tillage practices. Most agronomists agree that a ~2.0 inch planting depth is usually optimum for corn establishment in northern latitudes that receive ample rainfall during the spring. A shallower planting depth, especially less than 1.5 inches, may lead to early-season root lodging associated with shallow nodal root development or corn injury from pre-emergence herbicides. 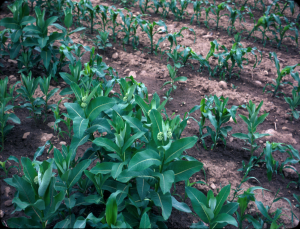 In addition, a planting depth of less than 1.5 inches or less when soil conditions are dry could result in drying out of the seed, thereby reducing emergence or delaying emergence until precipitation alleviates the dry soil conditions. Planting deeper than 2.0 inches may delay emergence, especially when planting under cool conditions in April or early May. Also, planting deeper than 2.0 inches may reduce emergence because of crusting problems, especially on heavier clay soils, or pest problems, associated with the delayed emergence. Optimum corn seeding depths depends greatly on soil conditions as well as climatic conditions before and after planting. We conducted a hybrid x planning date x seeding depth study at the Aurora Research Farm in 2013 and 2014. We planted two corn hybrids on five dates from early April through late May at seeding depths of 1.0, 1.5, 2.0, 2.5, and 3.0 inches. In addition, we conducted field-scale studies with four corn growers who planted corn at four seeding depths (1.0, 1.5, 2.0, and 2.5 inches). We will share with you the early plant populations taken at the 4th leaf stage (V4), about 3 to 7 weeks after planting (depending upon planting date), in each study. We will eventually run regression analyses on the data but in this news article we will just observe trends in the data, based on an ANOVA analyses. Table 1. Days to emergence, averaged across two corn hybrids, planted on five dates and at five depths at the Aurora Research Farm in Cayuga Co. in 2013 and 2014. A planting date x seeding depth interaction was observed for days to emergence as well as plant populations at the V4 stage for both years in the small plot study at Aurora (Tables 1 and 2). 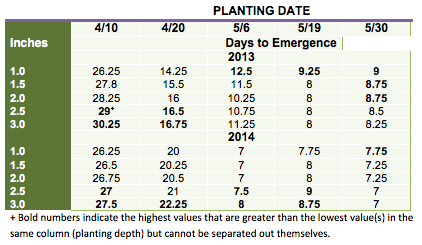 The deeper planting depths, especially the 3.0 planting depth, required 2 to 4 additional days for emergence on the April planting dates in 2013 and 1.25 to 2.25 additional days in 2014. The 1.0 inch depth however, required an additional 1 to 1.75 days for emergence for the May planting dates in 2013 and an additional 0.75 days for the late May planting date in 2014. Obviously, cool conditions delayed emergence at the 3.0 inch depth for the April planting dates and dry soil conditions probably delayed emergence at the 1.0 inch planting depth for May planting dates in 2013 and the late May planting date in 2014. Table 2. Corn plant populations at the 4th leaf stage (V4), averaged across two corn hybrids, planted on five dates at five depths at a seeding rate of 31,800 kernels/acre at the Aurora Research Farm in Cayuga Co. in 2013 and 2014. Delayed emergence at the 2.0, 2.5 and 3.0 inch depths affected plant populations on the early April planting date in 2013 (Table 2). Compared with the 1.0 and 1.5 inch depths, the 2.0 and 2.5 inch depths had 2500 fewer plants/acre and the 3.0 inch planting depth had 6500 fewer plants/acre. Plant populations among seeding depths, however, did not differ for most other planting dates in both years, except for the late May planting date in 2013 and the mid-May planting date in 2014. On both those planting dates, the 1.0 inch planting depth had ~4000 fewer plants/acre compared with the 2.0 inch planting depth. Overall, the 1.5 to 2.0 inch planting depth mostly had the highest plant populations with the exceptions being the 2.0 inch depth too deep for the early April planting date in 2013 and the 1.5 inch depth being too shallow for the late May planting date in 2013 and mid-May planting date in 2014. Despite the planting date x seeding depth interaction for days to emergence and plant populations in 2013, yield did not have a planting date x seeding depth interaction (What’s Cropping Up?, vol.24, no.1, 2014, p.7-8). The 1.5 and 2.0 inch seeding depths, however, did have a significant 4% yield advantage when compared with the 2.5 and 3.0 inch seeding depths but yielded the same as the 1.0 inch seeding depth. Wet spring conditions prevailed in 2013 (3.6 inches of May precipitation), however, so soil conditions did not become dry in the top 1.0 inch until late May, which contributed to the similar yield at the 1.0, 1.5, and 2.0 planting depths in 2013. Wet spring conditions prevailed again in 2014 (4.2 inches of precipitation in May), which again negated a reduction in plants/acre on most planting dates. Root lodging did not occur in this study in 2013. Table 3. Corn plant populations at the 4th leaf stage (V4) at four seeding depths planted on four farms from May 7 to May 15 in 2013 and from May 14 to June 2 in 2014. Growers at three of the sites in the field-scale studies had new planters in 2013 so depth control and seed metering were optimum. Nevertheless, plant populations had year x location x seeding depth interactions in the field-scale studies, illustrating that the optimum planting depth depends equally upon soil conditions at and shortly after planting as the actual planting depth itself (Table 3). 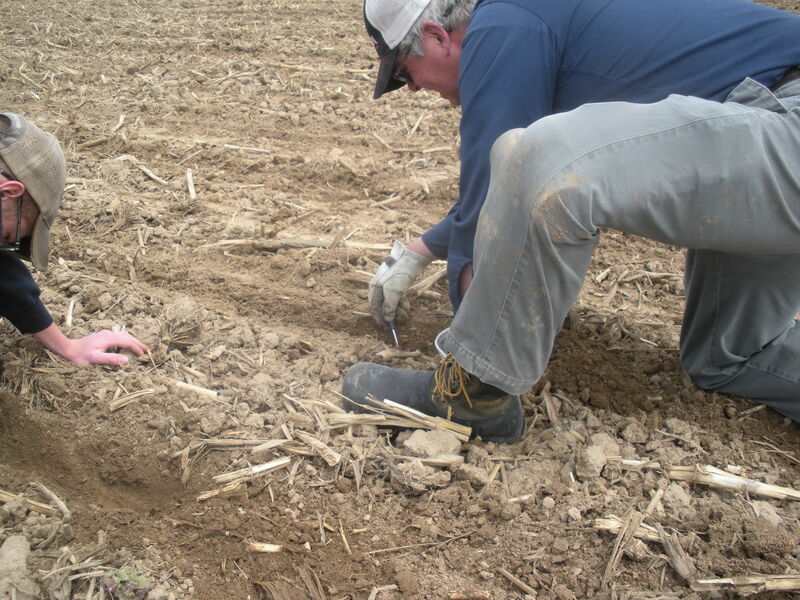 The Cayuga County site, a well-drained silt loam soil in both years, had ideal conditions at planting (moist at planting and a light shower after planting) in 2013 and plant populations (and yield) did not differ among seeding depths. In 2014, however, dry conditions prevailed for 10 days after planting at the Cayuga Co. site and the 1.0 inch seeding depth had ~ 3000 fewer plants/acre compared with the other seeding depths. At Livingston County, pre-emergence herbicide injury resulted in severe damage to stand establishment in 2013 (~2.0 inch rainstorm shortly after planting) greatly reducing plant populations (and yield). In 2014, dry conditions prevailed for 2 weeks after planting and the 1.0 inch depth had more than 6000 fewer plants/acre compared with the 2.0 and 2.5 seeding depths. Obviously, the grower will not plant below the 2.0 inch depth at this site in the future. Dry conditions also prevailed for 15 days after planting on the silty clay loam soil at the Orleans Co. site in 2013 resulting in ~2000 fewer plants/acre (and 12 bushel/acre lower yield) at the 1.0 inch compared with the 2.0 and 2.5 inch seeding depths. In 2014, a torrential downpour occurred within minutes of planting at Orleans Co. The silty clay loam soil at this site apparently developed significant soil crust upon drying, which contributed to 2000 to 4000 fewer plants/acre at the 2.0 and 2.5 inch depths compared with the 1.0 inch depth. Likewise, in 2013 at the Seneca Co. site, torrential rainstorms (3.0 inches) occurred a few days after planting resulting in significant crusting upon drying on this clay loam soil, which contributed to ~2500 to 6000 fewer plants/acre (and 10-15 fewer bushels/acre) at the 2.0 and 2.5 inch depths compared with the 1.5 inch depth. In 2014, dry conditions prevailed after planting but this no-till site had ample moisture in the top inch for similar emergence rates as from the deeper soil depths. Root lodging was not observed at the 1.0 inch depth at any sites in 2013. In closing, soil conditions play an equal role as seeding depth does for corn stand establishment. Generally, planting depth should be shallower on heavier soils but not always as indicated by the 2.0 and 2.5 inch depths having the greatest plant populations because of dry conditions after planting at Orleans Co. in 2013. The 1.0 inch planting depth is usually too shallow because of dry soil conditions (Orleans Co. in 2013 and Cayuga and Livingston Co. in 2014 or can result in herbicide damage to the shallow-planted seed at Livingston Co. in 2013). On the other hand, torrential rains after planting can reduce plant populations, especially on heavier clay soils (Seneca Co. in 2013 and Orleans Co. in 2014). Overall, the 1.5 inch seeding depth provided the most consistent plant populations in the field-scale studies (but yields were higher at the 2.0 and 2.5 inch depths at Livingston and Orleans Co. in 2013). Once we get the yield data from 2014 we will summarize our findings. Based on the plant population data, there does not appear to be a “one size fits all optimum seeding depth” and the optimum seeding depth depends equally on soil and weather conditions as actual planting depth. 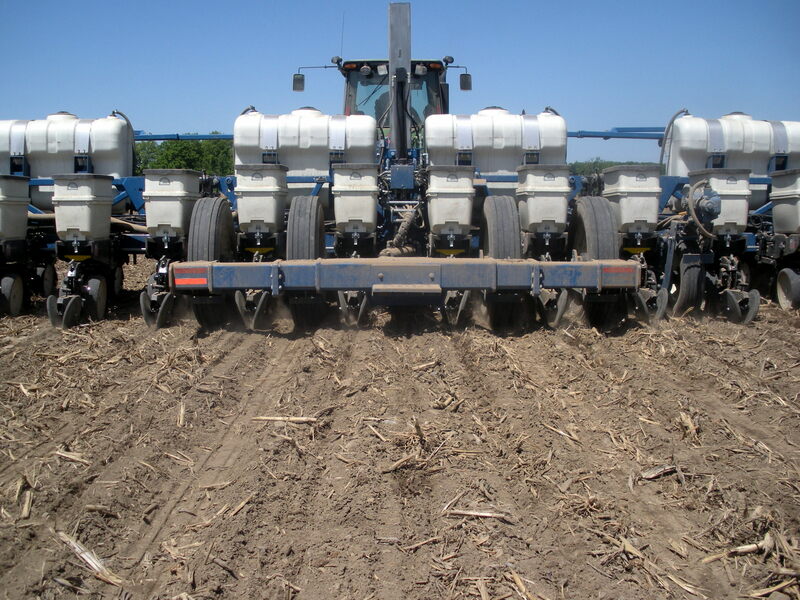 Comments Off on How Does Soybean Planting Depth Affect Early Plant Populations? Most agronomists agree that growers should plant soybeans at the 1.5 inch depth because the seed is vulnerable to drying out at shallower depths and crusting problems at deeper planting depths, both which result in reduced emergence. We conducted a variety x planning date x seeding depth study at the Aurora Research Farm in 2013 and 2014. We planted two soybean varieties on five dates from late April through mid-June at seeding depths of 1.0, 1.5, 2.0, and 2.5 inches. In addition, we conducted field-scale studies with three soybean growers who planted soybean at the same seeding depths. 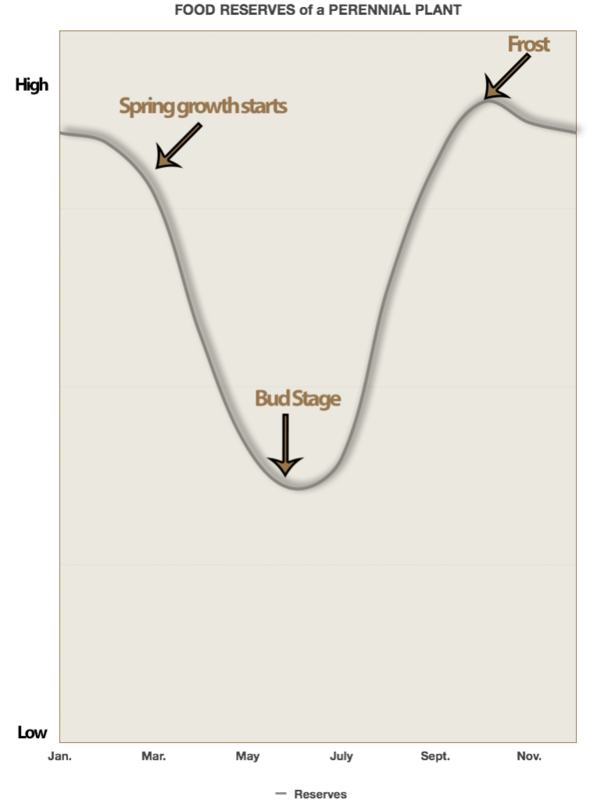 This news article will report on the trends in the early plant populations taken at the V2 (2nd node) stage, about 2 to 5 weeks after planting (depending upon planting date). 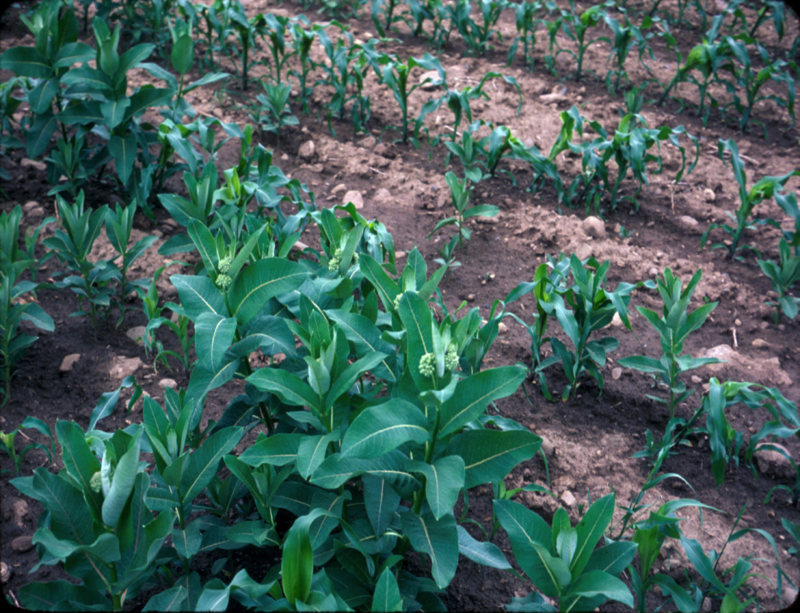 Eventually, regression analyses will be conducted on the early plant population and yield data at the conclusion of all the studies. Table 1. Days to emergence, averaged across two soybean varieties, planted on five dates and at four depths at the Aurora Research Farm in Cayuga Co. in 2013 and 2014. The 1.0 vs. the 1.5 inch seeding depth emerged 0.25 to 1.25 days earlier on the first three planting dates in 2013 (Table 1). 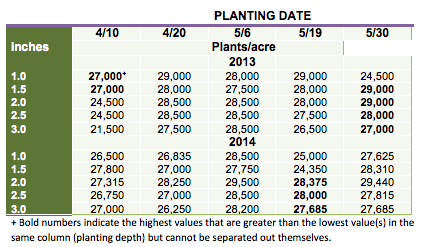 In addition, the 1.0 inch seeding depth had ~2,000 to ~11,000 more plants/acre on all planting dates in 2013 (Table 2). Moist conditions ensued after all planting dates in 2013, which negated drying out of the soybean seed at the 1.0 inch depth leading to more rapid and better early stand establishment. Obviously, planting soybeans at the 1.0 inch depth is not a problem and may be a benefit during wet springs. Table 2. Early plant populations, averaged across two soybean varieties, planted on five dates at four depths and at a seeding rate of ~165,000 seeds/acre at the Aurora Research Farm in Cayuga Co. in 2013 and 2014. In 2014, however, dry climatic conditions ensued from May 20 until June 10 (0.13 inches of precipitation), which probably contributed to the 0.75 to 1.25 day delayed emergence and ~3,000 to ~25,000 fewer plants/acre at the 1.0 vs. the 1.5 inch depth on the May 19 and June 12 planting dates (Tables 1 and 2). Clearly, planting soybeans at the 1.0 inch depth is a problem for stand establishment when dry conditions prevail during the late spring. 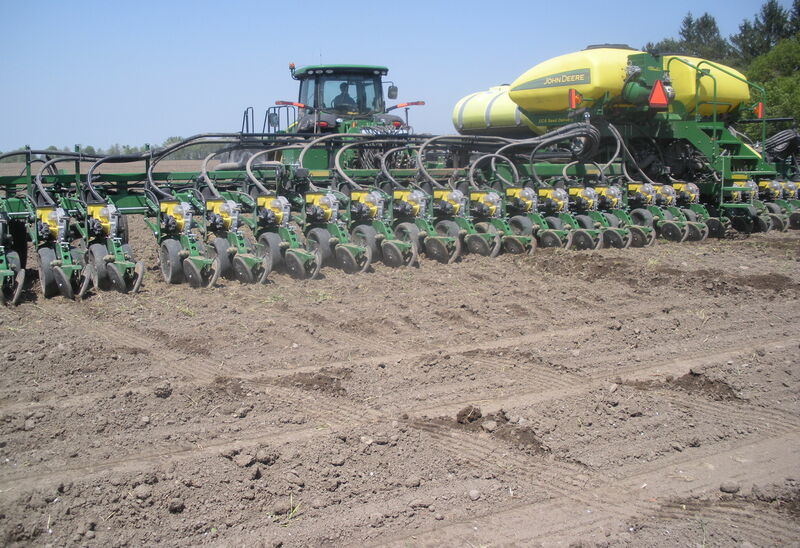 The 2.5 vs. the 1.5 inch seeding depth generally required an additional day for emergence (although an additional 3.75 days were required at the late April planting date in 2013). Also, the 2.5 vs. the 1.5 inch seeding depth mostly had >10,000 fewer plants/acre but there were two exceptions where the 2.5 vs. the 1.0 inch depth had ~5,000 to ~10,000 more plants/acre (May 19, 2013 and May 30, 2014). Dry ensuing conditions after the May 30 planting date in 2014 probably resulted in dry conditions at the 1.5 inch seeding depth, thereby reducing emergence at that depth. Despite the differences in early plant populations among the seeding depths at the five planting dates, soybean yields did differ among the four seeding depths on the first four planting dates in 2013 (What’s Cropping Up?, vol.24, no.1, 2014, p.1-2). Early plant populations mostly exceeded 120,000 plants/acre for all planting depths (except for the 2.5 inch seeding depth on the April 20 and June 12 planting date in 2013), which apparently were adequate to optimize yields in 2013. The field-scale studies were planted from May 10 to May 27 in 2013 and from May 24 to June 6 in 2014 (wet May conditions delayed planting at all three farms in 2014). Consequently, soybeans only experienced warm conditions after planting in most of these studies. Nevertheless, soybeans at two farms (Livingston and Tomkins Co.) showed pronounced negative linear responses to seeding depth for early plant populations as indicated by ~9,000 to ~17,000 fewer plants/acre at the 2.5 vs. 1.0 inch seeding depth (Table 3). The Livingston Co. study in both years was on a silty clay loam soil so probably crusting or difficulty in emerging through a heavier soil from a deeper depth explains the consistent 17,000 fewer plants/acre. Table 3. Early plant populations of soybean planted on three farms at four seeding depths at seeding rates of ~ 130,000 (Cayuga Co.), ~150,000 (Livingston Co.) and ~175,000 (Tomkins Co.) seeds/acre in 2013 and 2014. The Tompkins Co. study, however, was on a gravelly silt loam soil in both years so crusting problems were probably not the major cause for reduced emergence. Consequently, it is not clear why soybean planted at the 2.5 vs. 1.0 inch depth had ~9,000 fewer plants/acre in 2013 and ~17,000 fewer in 2014. Despite the pronounced negative linear response to seeding depth at Livingston Co. in 2013, seeding depth did not affect yield (yields ranged from 57-59 bushels/acre). Surprisingly, soybean yield showed a negative quadratic response at Cayuga Co. in 2013 (67 and 66 bushels/acre at the 1.0 and 2.5 inch depths, respectively, but only 63-64 bushels/acre at the 1.5 and 2.0 inch depths). Likewise, soybean yield showed a quadratic response (positive) at the Tomkins Co. site in 2013 (yields increased from 59 to 63 bushels/acre as seeding depth increased from the 1.0 to 1.5 inches then decreased to 61 bushels/acre at the deeper depths). In conclusion, seeding depth affects early plant populations in soybean but the response is not consistent. Apparently, the 1.0 vs. the 1.5 inch seeding depth can result in greater plants/acre if wet conditions ensue after planting. 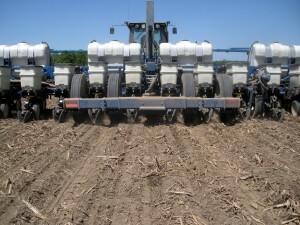 If dry conditions ensue after planting, as at the Aurora Research Farm from May 20 to June 10 or at the Cayuga Co. in 2014 (located 1 mile from the Aurora Research Farm and planted on May 24), the 1.0 seeding depth and maybe the 1.5 inch seeding depth is too shallow, which can result in fewer plants/acre. The data indicates that climatic conditions after planting is equally important as the actual seeding depth in determining optimum seeding depths for soybeans. Unfortunately, climatic conditions in the first 10 days after planting are not predicted with great precision so planting at the 1.5 inch depth appears to be the best compromise.